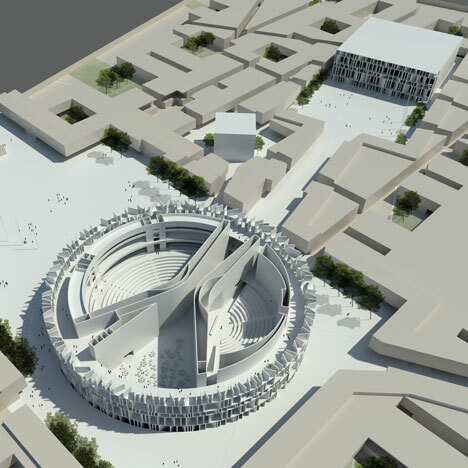 the architect behind the competition-winning design for a new parliament in Baghdad has spoken out against "fashionable icon building" amid rumours that the Iraqi authorities are in discussions with Zaha Hadid, whose own design was placed third. "The industry is all too familiar with the failure of the fashionable icon building which is supposed to bring fame to a city and instead brings a cost and functional nightmare, and a rapidly dating aesthetic,"Assemblage director Peter Besley told Dezeen. "Some in the client body know this, some do not, and it's something they need resolve internally." 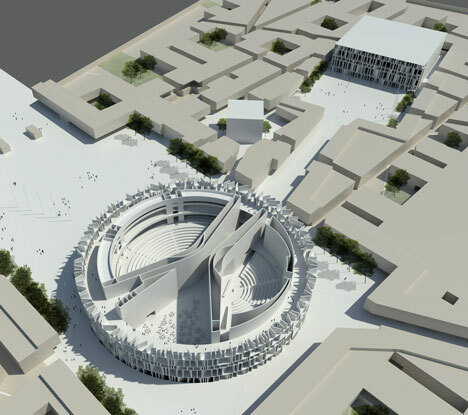 Assemblage was announced as competition winner in August with designs for a network of buildings, streets and plazas, including a circular complex wrapped in Brise Soleil for the elected Council of Representatives. Rather than design a single landmark building, the studio proposes a series of three low-rise structures that would let in natural light and be easy for visitors to navigate. The plans also accompany a masterplan for the adjacent part of the city. However recent reports state that Iraqi authorities have been in talks with Hadid to address technical enquiries relating to her proposal. A representative from Zaha Hadid Architects told the Guardian: "ZHA was made aware that the competition rules allow for any of the submitted design proposals to be selected for construction, irrespective of placement in the competition, and only on this basis ZHA continues to address the committee's ongoing queries. To our knowledge, no decision has been made." 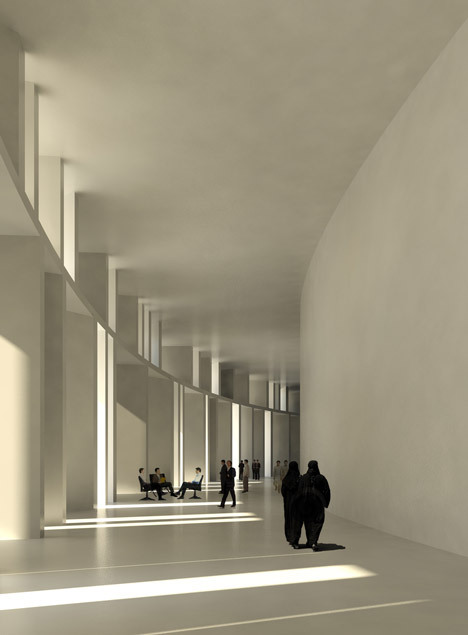 No images of Hadid's design have yet been released, but the scheme was placed behind Assemblage's proposals by a jury coordinated from theRoyal Institute of British Architects (RIBA). The brief called for "a symbol that tells the history of the great Iraq" and "its distinctive role in human civilisation". Zaha Hadid Architects has also been in the news after a building the studio designed for Beijing was copied by a developer in Chongqing. See all our stories about Zaha Hadid Architects, including therecently completed Galaxy Soho complex. In the Assemblage design the parliament complex is conceived as a work of urban design and not as one large architectural object. 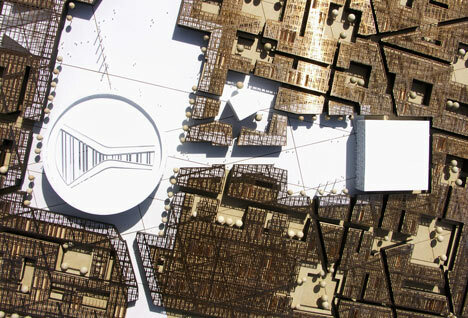 The majority of the complex is formed as a pattern of streets ‐ indoor and outdoor ‐ and green courtyards, connecting an arrangement of buildings of a variety of functions. Against this fabric, key landmark buildings and plazas are highlighted, such as the Council of Representatives and the Federal Council. The dialogue of landmark buildings in a low rise urban grain is highly legible and navigable. It is also flexible, easy to phase, zone, and replace. A grading of family relationships exists within this fabric of buildings. The many courtyards and streets allow excellent daylighting and services access, whilst also providing a variety of identities for groups of users as in an urban environment. An extensive horizontal brise soleil structure extends across the two storey fabric, providing continuity of shade and a roof level service zone. A major architectural elevation in its own right, this datum is carefully designed in terms of views from the landmark buildings and forms a plane against which they are read clearly. The Council of Representatives building is placed as a landmark in the primary arrival plaza on axis to the Zawra Park approach. 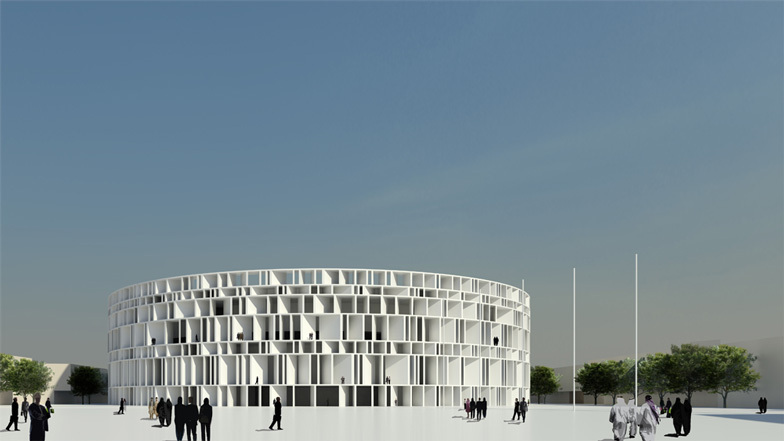 It has a circular outer shell of monumental brise soleil which protects the building and whose deep shadows tell of the intense Iraqi sun. Encircled within are the two great hemicycles of the Great Hall and the Council Chamber, with technical spaces and services embedded in the spine walls. The charged space between these two great volumes is the Entrance Foyer, further dramatised by raking rooflights. A press conference hall is situated at lower ground level. The public and members may populate the building's facade by appearing amongst the large fins of the brise soleil. Generous areas adjacent the facade may be occupied on all floors, animating the entire perimeter of the building at all levels. Navigation is simple and intuitive. Users of the building look down from the perimeter areas into the Great Hall and Entrance Foyer, witnessing the motions of government. This transparency in the building is direct: to at once look out over the land and its citizens, and then at those who represent and serve. A modern parliament building must embody the transparency between citizens and their government which reflects the essential democratic relationship. This is not literal transparency, but is about the building's feeling of public ownership and accessibility. It must impart the positive possibility of the State: larger than the individual, but supportive and engaging ‐ not aggressive or oppressive. The Council of Representatives building is formed in the shape of a circle: a strong, simple geometry of great architectural power and lineage. In this context as an image of the State, it is a symbol of convergence and stability. A circle has no one elevation, presenting the same face to all. Divergent axes are co‐ordinated and brought into agreement. The building's circular plan echoes the shapes of the hemicycles within ‐ themselves a geometry of agreement ‐ and allows views out in all directions from the generous perimeter areas. Direct reference is also made to the historic City of Peace, from which Baghdad takes its name. Having stood just north of the parliament site, the circular city was built by the Abbasid Caliph al‐Mansour in 766 AD at a time when Baghdad was at a peak of power and prestige.